Malayalam film makers are currently shifting their base to Africa to explore the beauty of the dark continent. With bollywood and kollywood movies getting shot at exotic locations in Europe and other foreign locations, malayalam film makers are thinking different. 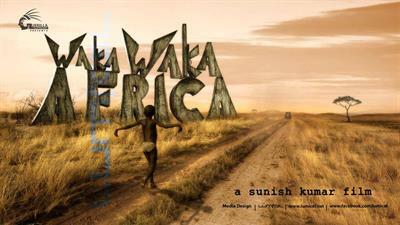 With Rajesh Nair's Escape from Uganda getting the final touch, Vayalar Madhavankutty's Naku Penta Naku Taka and Waka Waka Africa to be directed by Sunish Kumar will be shot exclusively in Africa. Read more to known about the African expedition. With bollywood and kollywood movies getting shot at exotic locations in Europe and other foreign locations, malayalam film makers are thinking different. It is not only the unique beauty of the continent, but also the picturesque nature which attracts them to the land. It seems that the young film makers are gearing up to zoom in the extraordinary beauty of the dark continent. If you are a movie enthusiast thinking of an African Safari, reserve your time to enjoy it at the theatres near you. The first movie in line to reach the theatres will be Rajesh Nair's 'Escape from Uganda' which narrates the story of a Malayali family trapped in Africa. 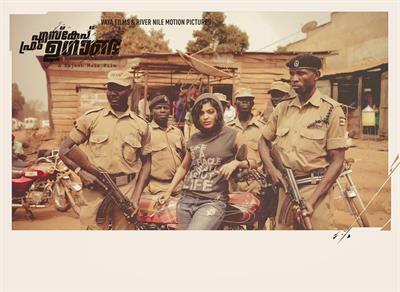 Being one of the most awaited malayalam movie in 2013, 'Escape from Uganda' would give a thrilling experience for the movie enthusiasts. Shot across 56 locations in Uganda, 'Escape from Uganda' would be a real visual treat as with the first glimpses out before the television viewers. The first visuals of the movie give a clear picture of how the crew enjoyed the shooting in the country. Rajesh Nair, a product of the New York Film Institute had been in Uganda for more than a decade working as the CEO of a steel manufacturing company. Going behind his passion of film making, he is well set to mesmerize the audience with his second venture which has a long line of experienced actors including Parthipan and Rima Kallingal in lead. With blacks and other natives giving full support for the movie, the scenes taken inside the Parliament of Uganda would add the wow factor. Another project which is getting near for shoot would be Vayalar Madhavankutty's 'Naku Penta Naku Taka' which means 'I love you, I want you' in Swahili. To be shot completely in South Africa, this romantic thriller will also have a strong star cast with Indrajith, Bhama and Murali Gopi in lead. Another highlight of this movie would be an Afro-Malayalam track composed by Gopi Sundar. Scripted by Jayamohan, the movie will be produced by Gokulam Gopalan under the banner See Gokulam Movies. With the pooja of the movie held a week ago, the shooting is expected to start in the month of October while it would reach theatres in the first quarter of 2014. Sunish Kumar who has an experience working with experienced directors including Rajiv Menon is all set to mark his directorial debut in style. Titled 'Waka Waka Africa', the movie pool into the life of a teacher who hails from Thodupuzha migrates to the continent for his daily bread. The endangering journey he has to face later in the rest of his life forms the story of the movie. Indrajith is expected to don the lead role and the rest of the cast would be decided soon. To be produced by Guerilla Film Factory, the movie would start rolling from March 2014. After the trending road movies, get ready for the real African Safari getting ready to beguile the movie lovers.